UPDATE: Pastor Brian has a great blogpost on this as well. The Arab League has initially agreed on a joint military force, to combat threats in the region. This is based on a proposal by Egypt's President Sisi, who wants to combat ISIS an Iran's influence. Sometimes proposals come out like this, but nothing comes of them. But in this case, before they even agreed on the joint military force....ten Arab countries are already contributing to a Saudi-led military operation in Yemen. It was originally proposed by Egypt's Sisi. Now, the Arab foreign ministers are meeting in Egypt, and have given initial agreement to a joint military force. 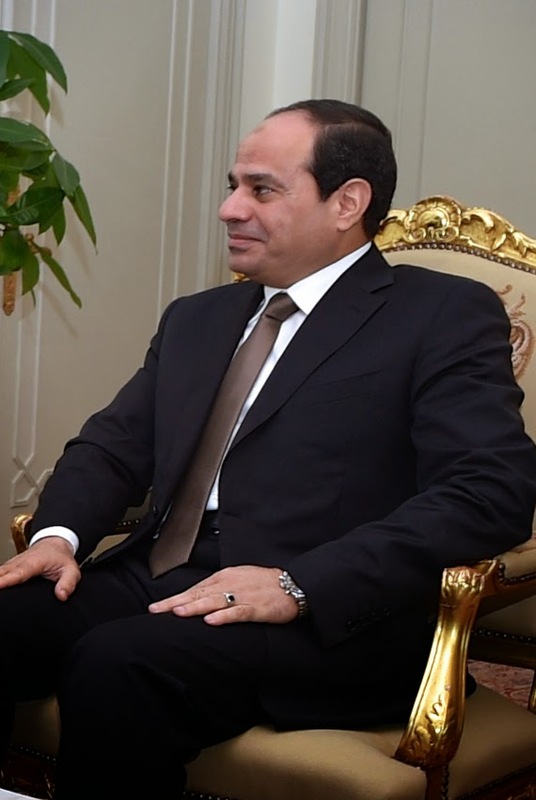 Earlier, Egyptian President Abdel Sisi also called to set up such a military force for defense purposes. "The need for a unified Arab force is growing and becoming more pressing every day," Sisi said in a televised address on February 22. This is significant for Bible prophecy, because in the end time, the "King of the South" attacks the king who exalts himself (the Antichrist). He does this in conjunction with the "king of the North." Earlier in this chapter, the king of the south is uniformly Egypt and refers to the warfare of the third and second centuries B.C. which has already been fulfilled. Here the king of the south is clearly the leader of a political and military force that comes from the south of the Holy Land, but the probability is that it involves much more than only Egypt and can be identified as the African army. Once again. Bible prophecy happening right before our very eyes. I have written elsewhere about the identity of the King of the North, which is more ambiguous. In the historical fulfillment of Daniel 11, "king of the South" always refers to Egypt. But "king of the North" refers to the Syrian Seleucid empire. This empire included Syria, Iran, Turkey, and possibly more northern places. However, Syria doesn't represent as formidable of a kingdom as it did back in those days. Indeed, in the end times, Damascus is completely wiped out at some point. Many scholars (such as Walvoord) have proposed that the king of the North represents a powerful force north of Israel, such as Russia. 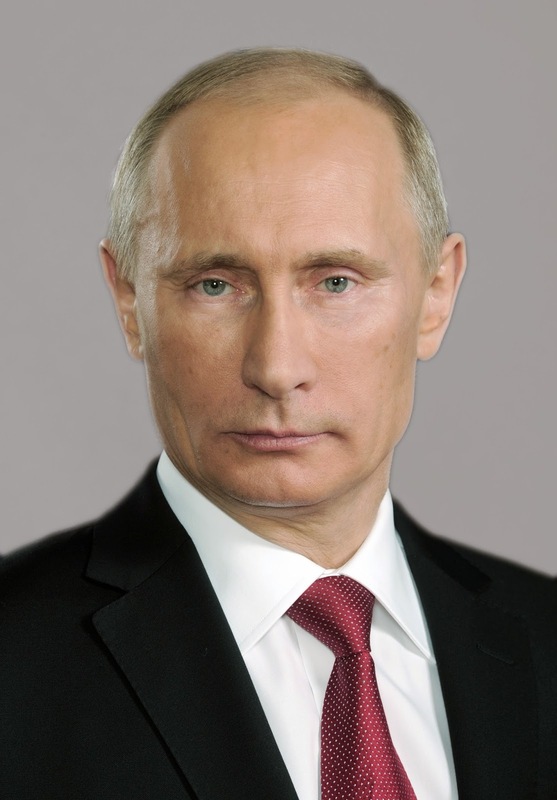 Both the Syria view and Russia view are possible, but in my opinion, it is likely Russia, possibly allied with Syria. After all, Syria and Russia are already allies. It's not hard to imagine why the king of the North would attack the revived Roman Empire (the European Union). In the past year, tensions between Russia and the EU have ratcheted up tremendously, almost to Cold War levels. However, Egypt-Russian relations have improved greatly since July of 2013. They are even creating some kind of military agreement. So now it kind of makes sense why those two entities would attack the EU together, as opposed to independently, just as the passage suggests. If one looks at the military activities in the rest of Daniel 11:40-45, then it seems we can infer that the Antichrist's revived Roman Empire starts off on the European continent specifically. He goes to war with many Mediterranean countries it seems. Obviously, he wouldn't go to war with his own empire. So it makes sense that the ten kings and the Antichrist come from the European continent, and expand their influence later (through other means) to the Mediterranean. Many writers believe this white horse represents the Antichrist when he rides out to do some relatively peaceful conquering. After all, the red horse of war does not come until later. I think I have heard that some interpret this that he will conquer by peace or by threat of military force (hence the bow and no arrows). It is far more probable, however, that the reference is to the rise and career of a mighty imperial ruler after the rapture of the Church, who brings under his sway a vast territory in an endeavour to maintain peace, order, and prosperity. (John Walvoord, from his book "Revelation"). Which makes us wonder. Is the European Union doing anything that could closely resemble this? 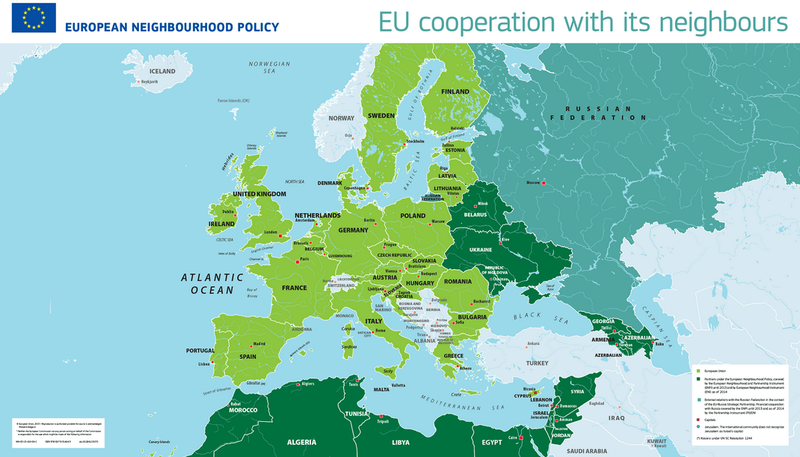 In 2004, the EU launched the European Neighborhood Policy, which pays the partner countries in the East and in the Mediterranean for making positive reforms to their governments. However, in 2007, the EU Commission started confirming this ENP every seven years. 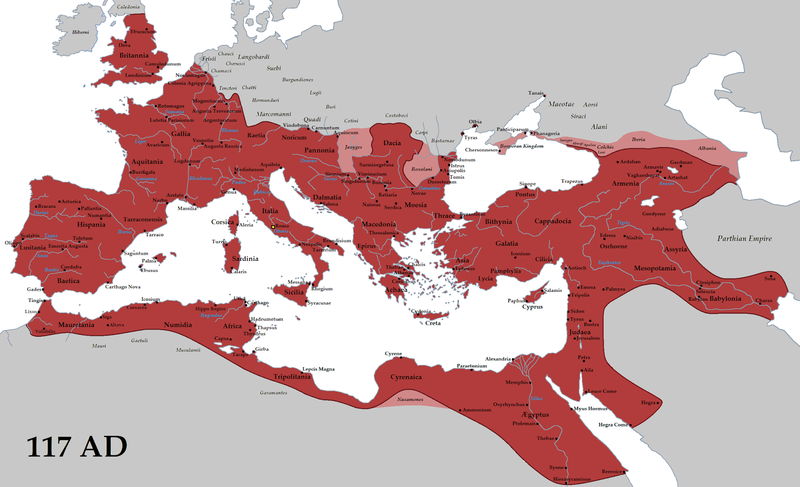 A map of the ENP partner countries bears a striking resemblance to the old Roman Empire. Israel is also a partner country. With this program, the EU intends to have "gravitational pull" and to "export" its values to the countries in the surrounding areas. This sounds a lot like what we learned about in high school: Imperialism. This program hasn't been working well at all. However, they don't show any signs of backing away from it, but continue to attempt to review and enhance it. Furthermore, the program has gone beyond mere financial aid, into Deep and Comprehensive Free Trade Agreements for some countries in the Eastern leg (Eastern Partnership) of the ENP program. This is meant to help foster "economic integration" between the EU and partner countries. It's funny they use the word "integration" because that is the exact same word the EU uses about itself, to make itself closer and closer to a federal entity. Javier Solana, the former EU High Representative, chaired a report that very explicitly and repeatedly calls for rapid-reaction military force in the EU's neighbourhood (the East and Mediterranean). (Click the link to see the quotes.) Furthermore, the report even suggests that the EU's military operations dimension, be merged with the ENP program. So less condescending? Hardly. A European political entity wants to send military operations to restore order in the Mediterranean and East. Sounds very "Roman" to me. So if the EU went all out with this plan, its easy to see how interests could collide. Russia has interests in the East, and Egypt and the Arabs have an increasingly desire to have their own rapid intervention force in the Mediterranean. If they all carried out their military objectives all at once, its easy to see how they could be frustrated by the EU, who would be militarily encroaching on their interests. Exciting days we live in!